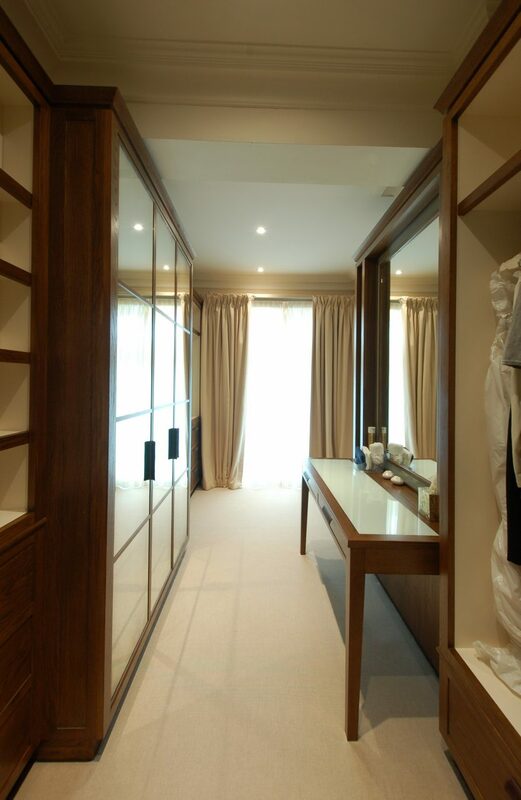 What makes an ideal dressing room? 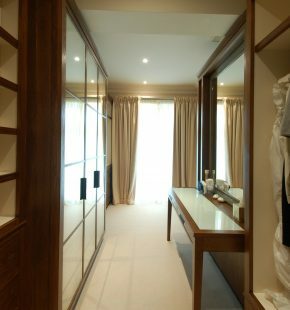 Actually having the space to house a smaller room alongside your bedroom is a great start and you will find once you have lived with this extra space it is hard to go back to just having a chest of drawers in the bedroom. 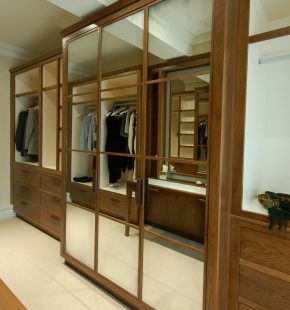 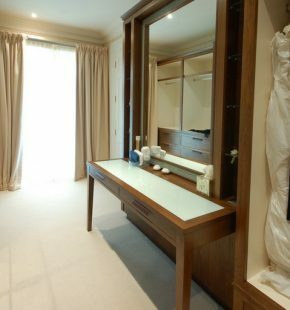 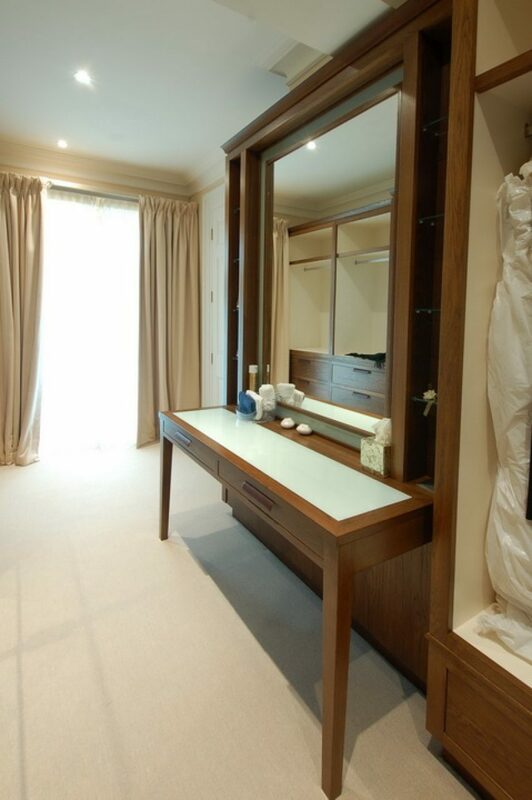 I suppose there are really two types of dressing room that Guild Anderson design – one is the more built in look which maximises on storage and perhaps incorporates a dressing table and make up area for keeping accessories, this creates a more modern feel. 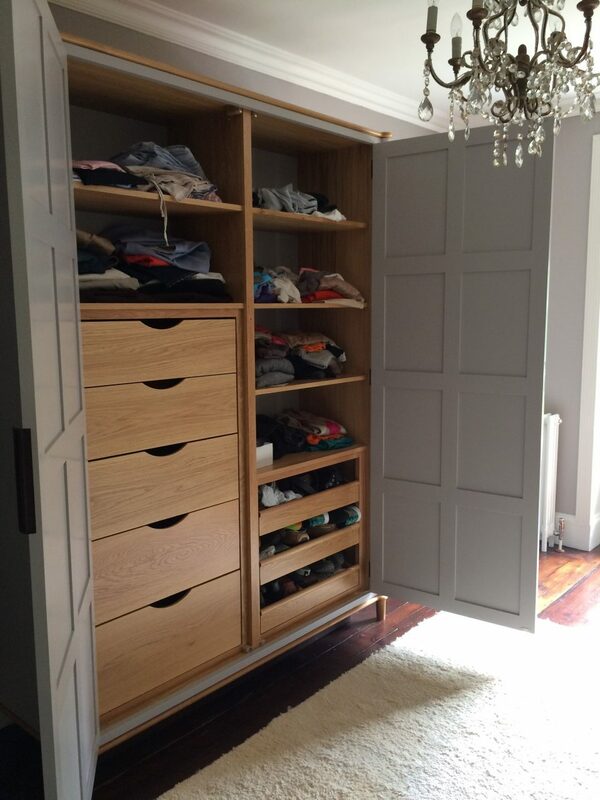 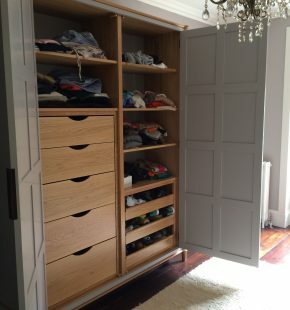 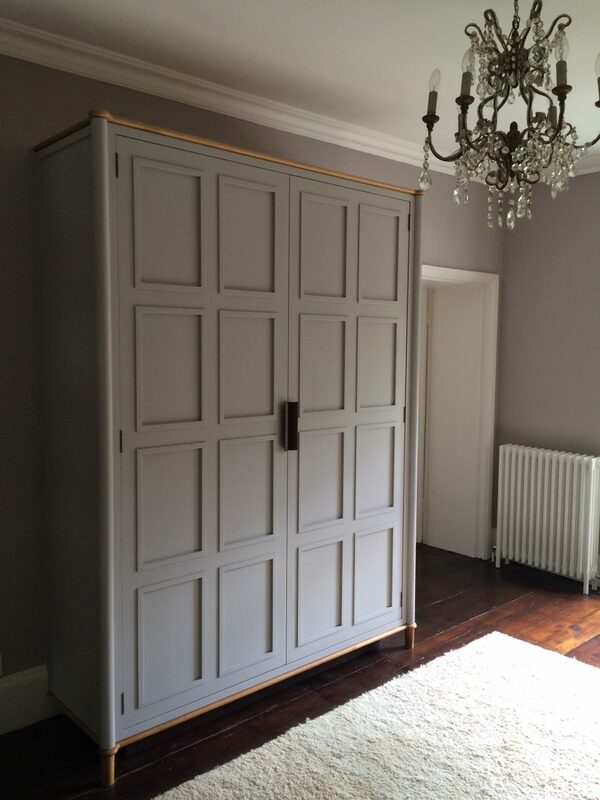 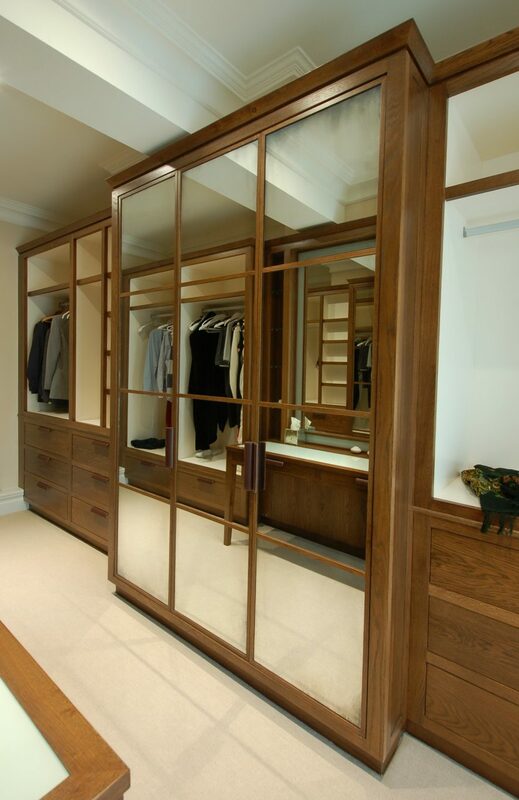 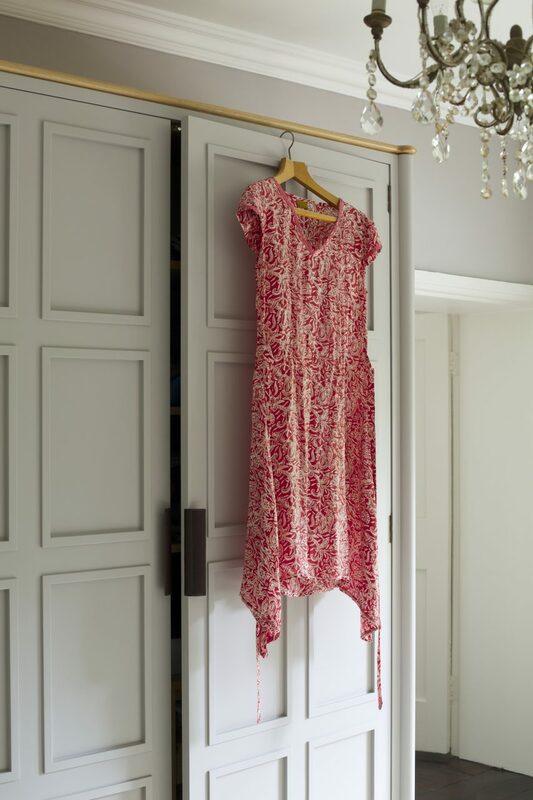 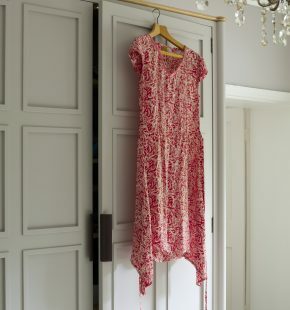 The other and my preferred look is for a design of a number of free standing individual wardrobes that carry out differing functions, in the ones featured here one is very much a hanging space to accommodate longer dresses and winter coats, while a second works with pull out wooden drawer and shelving for jumpers. 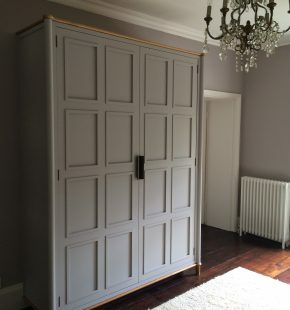 When there is more than one piece of furniture the design is kept identical but subtle changes can be applied such as painted doors on one and antique mirror glass on the other, different handles on each or perhaps even a slightly different paint colour for each. 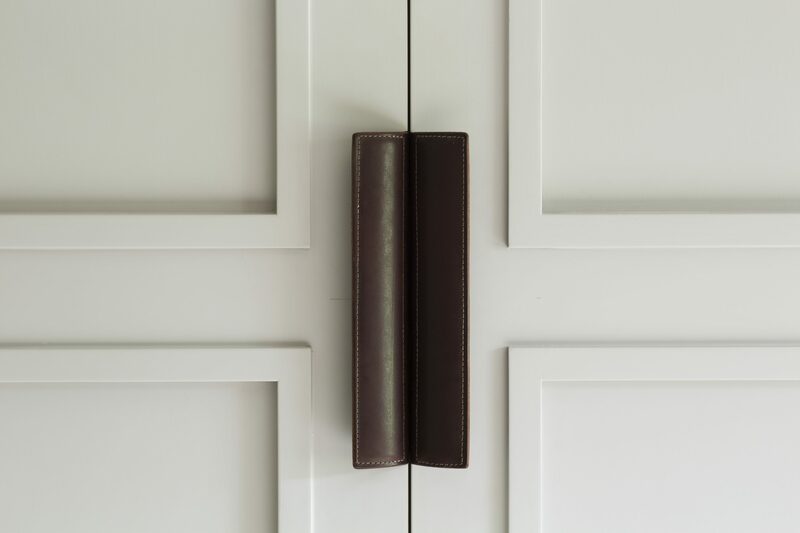 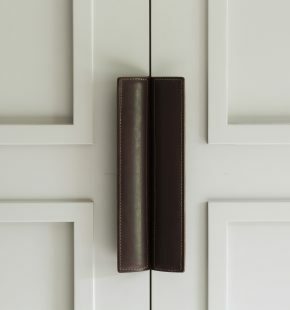 Our favourite handles for a dressing room are leather ones by Turnstyle design but of course it is down to your individual preference.